AT CAPACITY as of 1/15 - you may call 843-235-6049 to be placed on a waiting list. 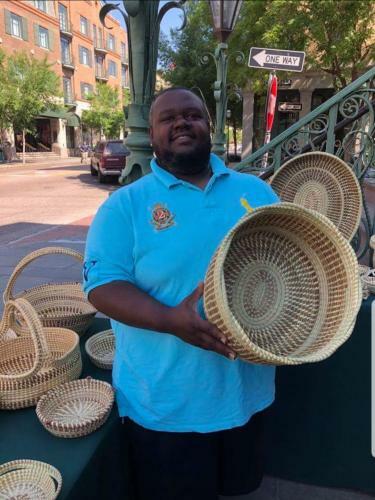 "Gullah Sweetgrass Baskets from Past to Present"
An artist in the Charleston City Gallery and an entrepreneur in the one of the first businesses of Mt. Pleasant, Alston will address the craftsmanship and economic issues of an art form that has spanned from West Africa to the South Carolina lowcountry.